Asian shish-kabob, right? Well, not this recipe! 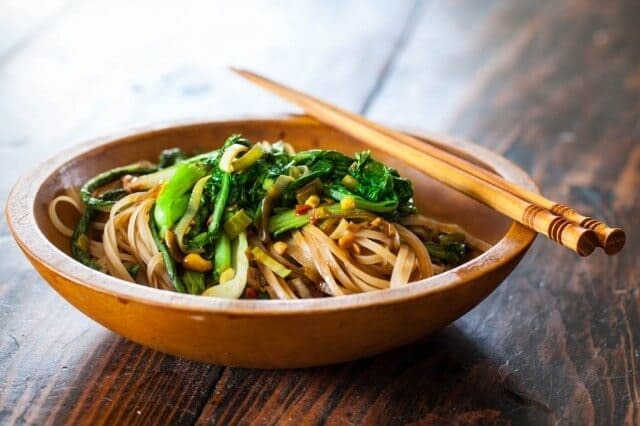 We’ve taken all the savory, nutty flavors of meat satay and made it a vegetarian noodle dish, with the help of my favorite cookbook of the year, The Medicinal Chef by Dale Pinnock. If there’s one book to add to your wishlist, this is it. 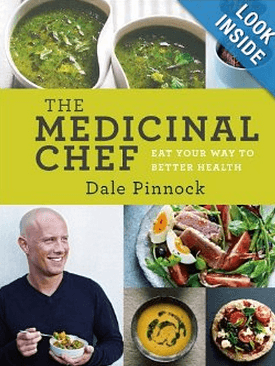 Dale’s philosophy about food is that it should not only nourish your stomach, but should also heal your body. Each recipe is accompanied by a little chart to highlight ailments the ingredients can help. 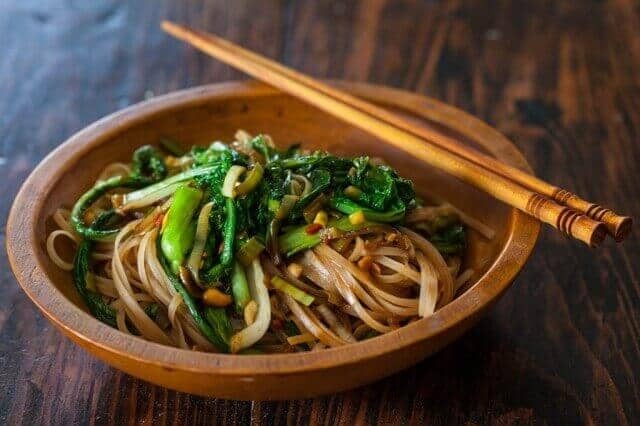 With fresh greens that we picked from our garden, Asian dried rice noodles and a simply stir-together sauce, it’s an easy, filling and healthy meal. 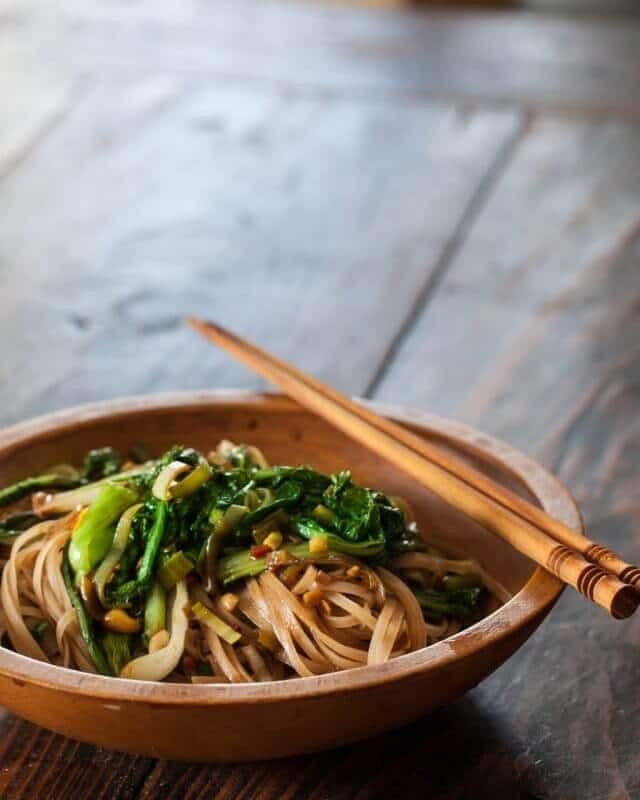 Soak the dry rice noodles in warm water for 5-8 minutes. 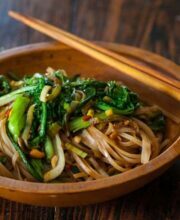 In a bowl, whisk together the hot water, peanut butter, dark soy sauce, honey, five-spice powder, salt and set aside. We'll be only using the white part of the leek (compost or use the green part to make broth). Wash the leek very well, separating the layers a bit to rinse out any dirt. Very thinly slice the leek. Heat the cooking oil in a large saute pan or wok over medium heat until just shimmering. Add the leek, garlic and chili pepper. Cook for 2 minutes (take care to not burn the garlic). Drain the rice noodles. 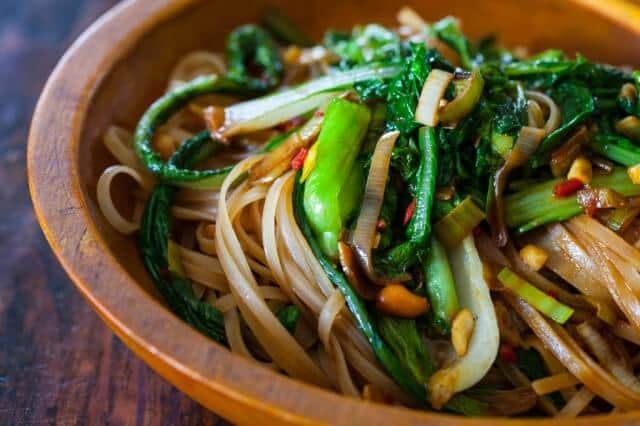 When sauce begins to bubble a bit, add in the rice noodles and cook for 1-2 minutes or until the rice noodles are cooked.